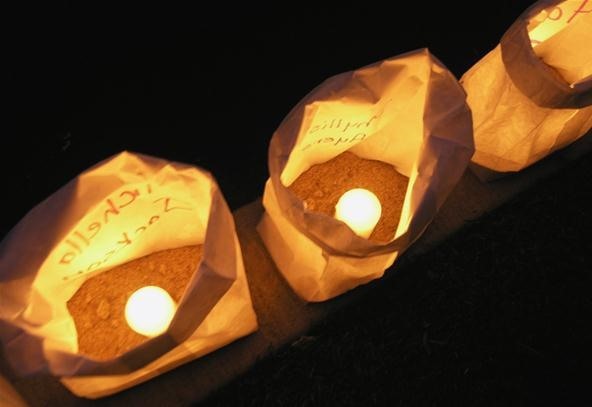 A votive candle set into a small, decorative paper bag weighted down with sand and placed in a row with others along a walkway, driveway, or rooftop as a holiday decoration. They are most popular in New Mexico and in neighboring southwestern states during Christmastime, especially on Christmas Eve. Roman Catholics believe that the lights guide the spirit of the Child Jesus Christ to their home, but nowadays they are used more as secular decorations akin to Christmas lights. 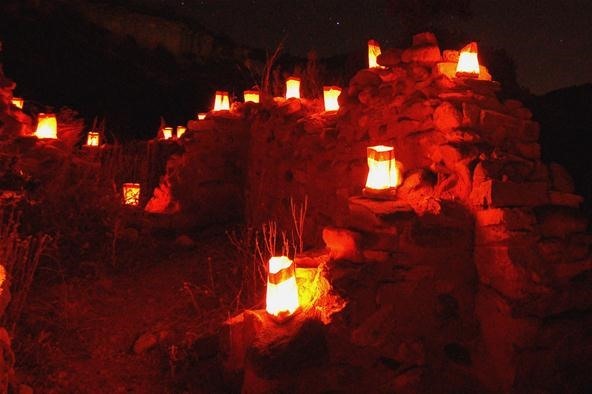 The small paper lanterns are actually the successors of the old traditional Mexican luminarias (vigil fires), which were actually small bonfires, one being lit each night during the 9-day celebration of Las Posadas, leading up to and culminating on Christmas Eve. Newer luminaries are also called farolitos.